Wash broccoli and cut into 1 inch pieces. Peel and chop onions. Remove seeds from pepper and chop coarsely. Drain mushrooms. In a bowl, combine water, cornstarch, sherry, cider vinegar, hoi sin sauce, soy sauce and chicken bouillon. Stir to blend well. Set aside. Rinse chicken and cut into serving-size pieces. 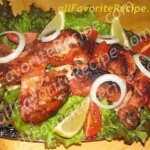 Put 1/4 cup cornstarch into chicken and coat each pieces. Heat vegetable oil in a wok (or a large heavy-bottom skillet) over high heat. Add chicken pieces, one at a time, to hot oil (cook pieces only in batches to avoid heat temperature to go down). Cook until golden and completely done for about 5 minutes. Drain on paper towels. Repeat with remaining chicken. Set aside and keep warm. Drain off oil from the pan and leave only about 2 tbsp. to the wok. Add ginger and stir-fry over medium heat for 1 minute. Increase heat to medium-high and then add onion, stir-frying for another minute. 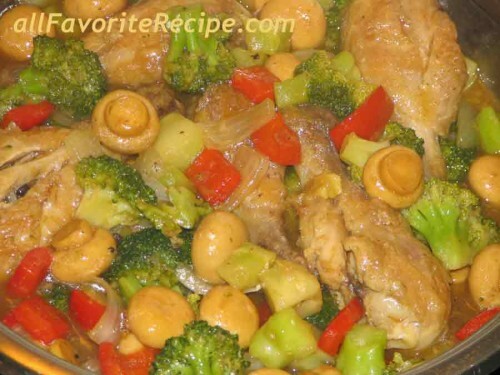 Add broccoli, pepper and mushrooms. Stir-fry for 2 minutes. Pour the liquid mixture to the vegetables. Cook and stir until liquid boils and becomes translucent. Correct seasonings. Return chicken to wok. Cook and stir until chicken is hot throughout for about 2 to 3 minutes. Remove from heat. 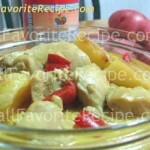 Transfer to a serving dish and serve hot the hoi sin chicken dish. I’ll try this….Thank you for sharing this recipe..